April 30, 2016 By Chelsey 2 Comments This post may contain affiliate links. Read my disclosure policy here. Need a little something to get your summer started on the right foot? How do you prepare for 3 months of fun? I don’t think anyone can be prepared for EVERY adventure, but the last three years I have put together a Summer Starter Kit to cover most of the activities we will be doing together over the summer. 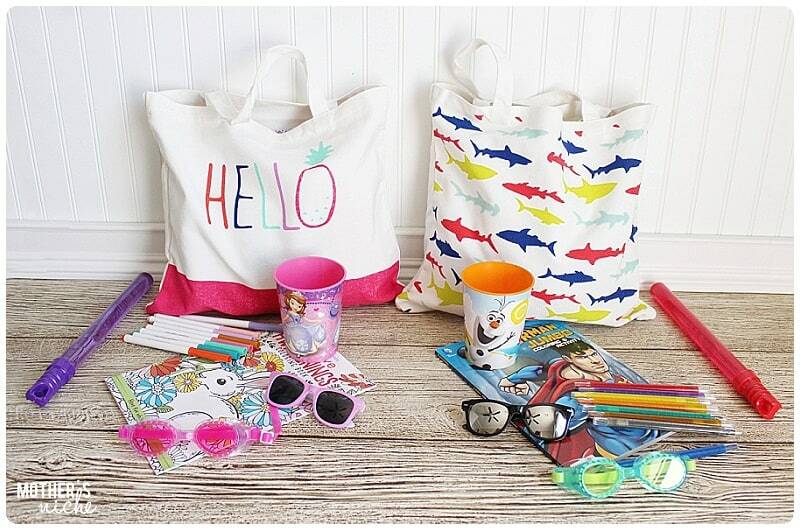 It is the usual stuff I have to buy every summer- swimsuits and towels, goggles, homework book, summer journal etc. So, instead of buying things here and there throughout the summer, I wanted to be ready for anything right from the get go. I needed to get the kids excited about swimming lessons, outings together, family trips, and fun times around the house. I give them to the kids on their official first day of summer break, the Monday after their last day of school. It probably seems like a lot of stuff all at once. But in our house these are generally things I buy at least once during the summer anyway. Flashlights are a must in our house. We use them nightly. I just grab the $1 flashlights they sell everywhere. They last a long time and it’s not a big deal if it break or get lost. We often play night games in the house- Sardines, Hide and Seek, BOO and Seek, make shadow puppets, or go on a Bear Hunt. To play Bear Hunt you simple choose a Teddy Bear, one person hides it and everyone uses their flashlights to hunt for it. We like to chant, “We’re going on a Bear hunt. We’re gonna catch a Big One. We’re not scared” (from the Book, We’re going on a Bear Hunt) at the beginning of each hunt. We love it! I found all the great activity books and games at Zulily.com! There are a lot of great products for summer on their website. But the kids are not the only ones who need a kit! I am the one who needs to have all the essentials for whatever may happen when we are out and about. I stick my wallet and keys in my Summer Bag. I will most likely not see my purse again until the Fall. My bag has everything I need to keep things running smoothly. • Water Bottle (This is by far the best water bottle I have EVER used –and I’m a water bottle FREAK. Keeps your water cold for at least 24 hrs, doesn’t leak, and the spout is easy to drink from while lying down). 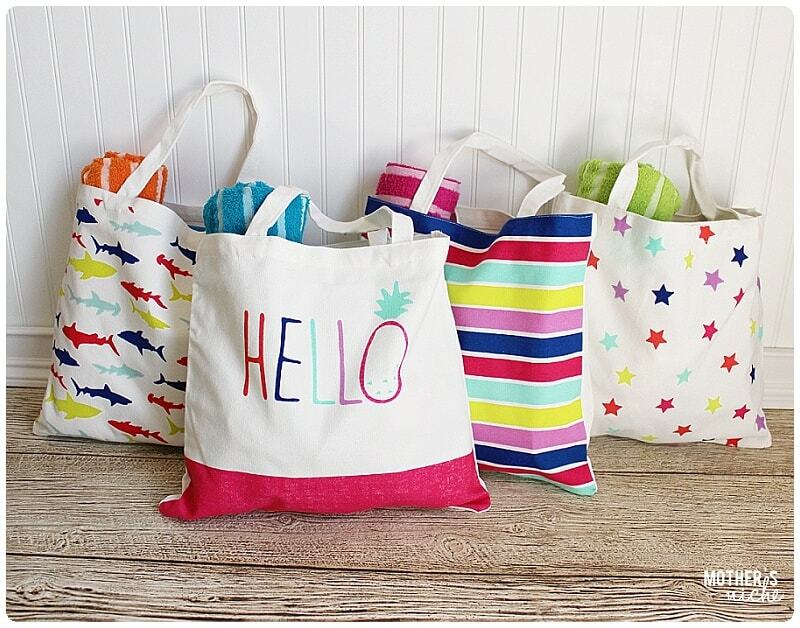 My kids are out of the baby diaper/bottle stage so I don’t need those things but if you have kids that age, add some of those needs to your bag. 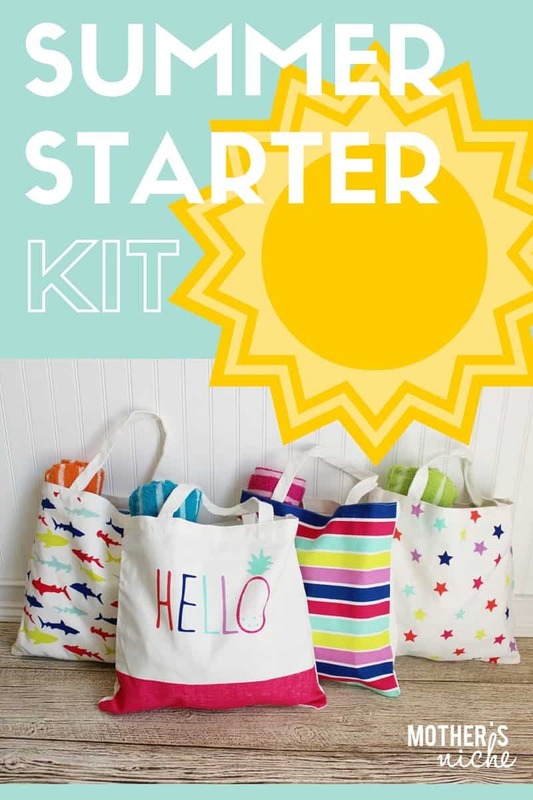 I hope you enjoy all of your summer adventures and that the Summer Starter kits help you all summer long! What do YOU think would be fun to include in a summer starter kit?? Love this! I usually do something of the sort for the kids for Easter but now that they are in school I may save it for the last day of school as a summer kick off. Where did you get the bags?